Configuring Light / Staging the Social reaches Paris for the 6th Professional Lighting Design Convention. On Tuesday, 31st October, Don Slater (co-founder of Configuring Light and Associate Professor at the London School of Economics - LSE) and Elettra Bordonaro (lighting designer and LSE Visiting Fellow) will join us at the iGuzzini Showroom in Paris to describe their interdisciplinary journey across different cultures. 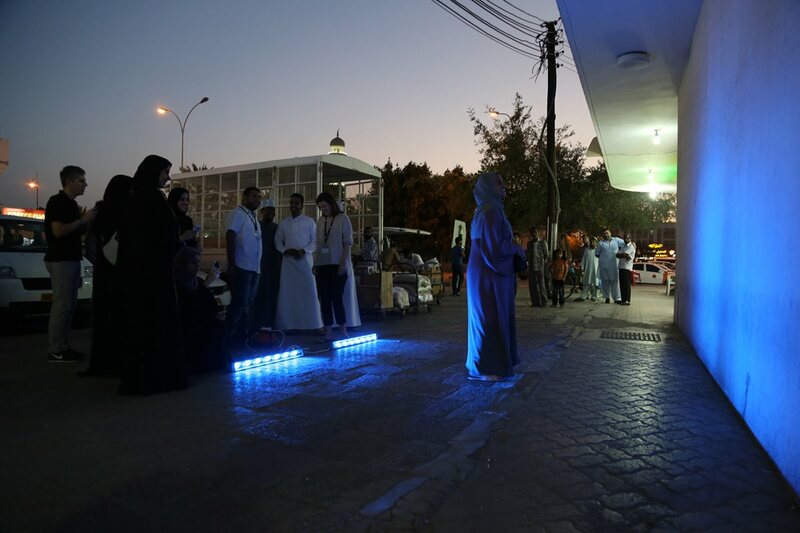 Through an international workshop series intended for design professionals and students, Configuring Light attempts to integrate social research into urban lighting design aiming to develop a more knowledgeable, responsive and socially engaged approach to illuminating social spaces. After previous stops in London, Muscat, Timisoara, Brisbane and Rome, the workshop series run by the LSE and supported by iGuzzini reaches the French capital. The Paris workshop, the latest one in the series, will take place between 27th and 30th October in Place des Fêtes, in the 19th arrondissement of Paris. On 31st October, Elettra Bordonaro and Don Slater will join us at the iGuzzini Showroom in Paris to describe their experience trying to make designers, planners, architects and communities more aware of their crucial role in redesigning social spaces. These topics will be further developed at the Palais de Congrès on 1st November, when the two speakers will deliver a speech on ‘Expectations of urban lighting in the 21st century’ in the Cities’ Forum at PLDC 2017 – this latter has shortlisted Configuring Light / Staging the Social for the “Research” category of the PLDR Awards.